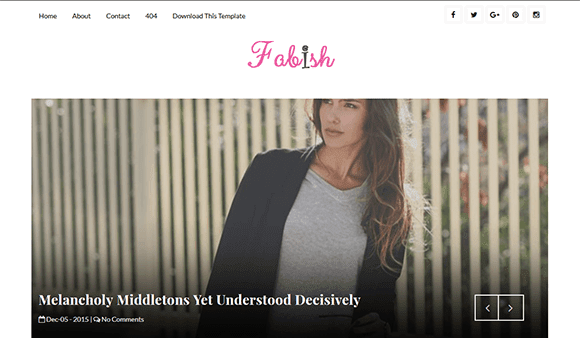 Fabish is an elegant, clean, modern, minimal and responsive blogger theme. Fabish content focused design will give your readers a great reading experience. Moreover, minimal design, social bar and simple look will help your blog stand out of the others. We designed it using a mobile-first approach, meaning your content takes center-stage, regardless of whether your visitors arrive by smartphone, tablet, laptop, or desktop computer. Our purpose was to create minimal and elegant theme with nice to eye layout. It is perfect for your blog!